As I have said before and will probably say a hundred more times within the next month: books are powerful. Books are important. They aren’t just there to provide us with an escape from reality, entertain us, or give us something to do on a cold or rainy day. More important than all of that, books are there to give us a new perspective on a familiar topic, teach us something, or erase a stigma. That is what is so important about Neal Shusterman’s latest title: Challenger Deep. Caden Bosch is a high school student who is convinced that another guy at school is trying to kill him. He explains this to his parents but they feel he’s simply overreacting. He can feel pressure all around him and his brain never stops. Questions and scenarios fill his head, causing him to do things he never imagined. He lies about being on the track team. To make his downward spiral stop, he walks until his feet bleed. He thinks the dolphins on his sister’s wall are watching him. He gets so far out that he thinks he’s on a sea voyage he’ll never get off, believing so deeply that he’s on the great vessel. The problem with mental health is that it is that easy for it to just... appear. No warning. I was fine one day and then the next my mind was a little bit out of control. Boom. Now I have really bad anxiety and panic attacks. Mental illness often happens just like that. And what’s so great about Challenger Deep is that it shows how easy it is, how quickly the disease can evolve and twist in shape. Neal Shusterman doesn’t skimp on any details and details or sugarcoat how hard it is to deal with mental illness. Not only that, but Shusterman also conveys how difficult it is to treat mental health. Caden goes into a treatment center and observes other patients suffering with their issues. What he sees while there is how easy it is to get better and then get worse again. Caden also goes through changes in his medication, as some medications help and others don’t. What Shusterman conveys is that the fact that there is no "cure all" for mental illness: it is a matter of discovering what treatment works best for an individual. 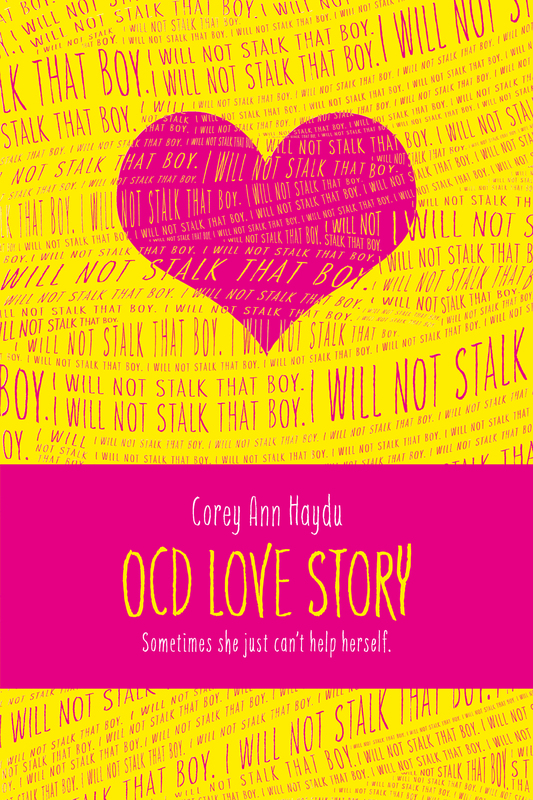 And treating a mental illness that has consumed your life is a large part of Corey Ann Haydu’s OCD Love Story. Bea is at a school dance when the power goes out. She listens closely and hears someone showing signs of a panic attack and goes over to help the person. The two flirt and kiss but when the power comes back on, the mysterious boy is nowhere to be seen. Until Bea's therapist recommends OCD group therapy to her... and the mysterious boy from the school dance is sitting there. He’s what you think of when you think of OCD: he counts and recounts, he’s a germaphobe, etc.. But Bea isn’t like the rest of the stereotypical OCD patients. She doesn’t pull her hair out or count to eight over and over again. In fact, it almost seems like she doesn’t need OCD therapy. Bea listens in on the couple seeing the therapist before her and she takes notes. She fills up an ugly notebook with a shooting star on the cover with the intimate details that she shouldn’t have and starts to drive by the couple's lavish apartment complex in order to look in on their lives. Except that it takes her forever to get there, because she can’t drive the speed limit or she remains convinced that she hit a dog in the street and didn’t know, or killed a child playing with a ball. So Bea has to turn around and check once, twice, before she feels that she can move on. She’s even taken to pinching her thigh when things in life get out of hand, a pinch that has painted a deep black, blue and purple bruise on her skin. 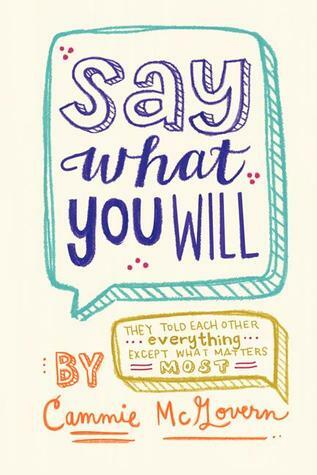 In Say What You Will, Amy suffers from cerebral palsy and, during her senior year, seeks out a group of peer helpers in order to make friends. She wants a boy named Matthew specifically to apply, so he does. As the two grow to become friends, Amy discovers that Matthew suffers from crippling OCD. He believes, much like Bea does in OCD Love Story, that if he doesn’t check in on someone or something, bad things will happen and it will be his fault. He has panic attacks as his thoughts repeat themselves and can’t see straight. He sweats through his clothing but doesn’t want anyone to know. Amy does what she can to help him. She challenges him to do a small task every day and see how he fares. She reminds him that the panic attack is only temporary and that what he’s worried about isn’t reality. Amy has him repeat back what she says to him and reminds him of his challenges. Matthew slowly gets better and almost looks forward to her challenges. Through her help, they both explore what it means to love someone's faults but also help them and others heal. Like I said: it’s important to note the other side that is displayed in Say What You Will. For most people struggling with mental illness, it’s easy and common for those around them to not understand what it is like. They’re not in your head, after all, so how could they? And it’s not like it’s exactly all that easy to explain what you’re going through either when you're suffering from mental illness. Most of the time, your description is inadequate or it doesn’t quite sound right. It’s important to note in the novel that Amy does her homework about OCD and finds out how to help Matthew little by little. She talks him through his panic attacks and reminds him that the panic is only temporary. She has him do realistic, manageable tasks instead of requiring him to accomplish tasks that someone with OCD would see as requiring a Herculean effort to accomplish. She may not fully understand what he’s going through, but she’s doing her best to help him and to empower him. I knew very little about OCD before reading those books. I mean, I knew what True Life: I Have OCD told me back in the day, but that was about the extent of my knowledge. I knew of the hand-washing and the counting. I didn’t know about the troubles with driving or the belief that something bad was going to happen if a ritual of some sort wasn’t performed. These were very informative novels for me, while still being works of fiction. They brought to light how difficult OCD is and how consuming mental illness can be even while a person is still seeming “normal” on the outside. Some issues can be eating away at a person while they appear fine. You may have read this article thus far and thought, “But, Megan. You have yet to discuss how easy it is to appear fine when suffering from something like depression!” You’re right. I haven’t mentioned depression yet, though I've touched on anxiety and OCD. There are plenty of books that have depression as plot factor that didn’t quite capture -- in my opinion -- the depth of the disease. It felt like these books were missing some facet of depression as a disease or were just diminishing it entirely. 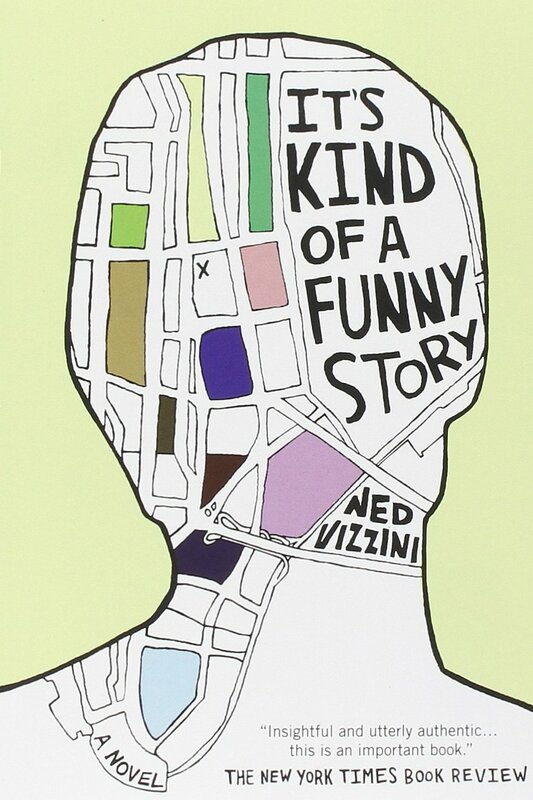 The only title that captured depression well for me was Ned Vizzini’s It’s Kind of a Funny Story. In it, Craig feels the pressure of his fancy school’s workload and the future he’s not sure he’s capable of achieving anymore. He stops eating and sleeping and finally... he becomes overwhelmed by his disease and all of the expectations placed upon him. So he takes himself out on the Brooklyn Bridge, prepared to end it all. Instead of jumping, however, he calls the suicide hotline and -- as a result -- is checked into the hospital for a 72-hour psychiatric hold. His friends don’t visit and he wonders if they were even good friends to begin with. Without all of the distractions of his daily life, though, Craig is finally able to confront his issues head-on. The reason this novel worked so well for me was that the author suffered from depression and suicidal thoughts himself. That sounds awful to say, but I am glad that, while he was alive, he understood what it was like to suffer from these things. I think he did an excellent job of wanting to share the mindset with others. This story's purpose was to remind those suffering from mental illness that they’re not alone, that the pressures of life can sometimes be extremely overwhelming and can often cause you to lose control. He knew that firsthand and though his story ended tragically, hopefully his novel will provide hope and healing for others. What makes these books I've listed above so special is the fact that they’re aimed at younger readers -- readers who may not know or be able to fully identify what they’re going through or how to deal with it. No book will ever portray mental illness flawlessly or provide an easy solution for every person, but these few books tackle the topic with grace and with class. When it comes to young adult fiction, it’s important for this demographic of readers to understand that they’re not weird or abnormal because their brains function a bit differently from others'. They need to know that it’s okay -- more than okay, actually -- to discuss how they’re feeling with someone. It's important that these books conveyed the fact that that they don’t have to keep their struggles to themselves. These stories don’t gloss over the obstacles one may face with mental illness, but they do show that it’s possible to live a happy and full life despite your brain chemistry not exactly playing fair with you. It’s time to break through the stigma of discussing mental health among all literature -- not just young adult -- and getting those who need it the help they deserve. If these few YA novels represent the future of mental health issues in literature, it’s a future I’m greatly looking forward to.